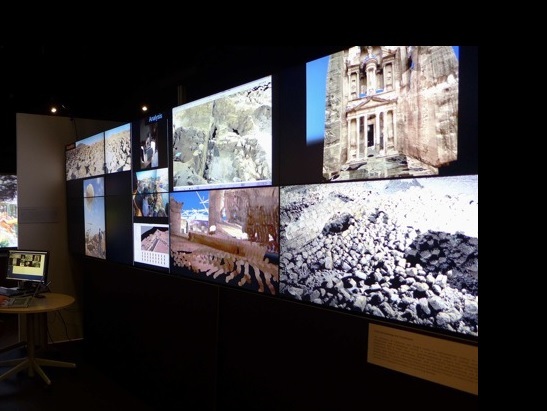 The second of the drop-everything, devote all your energy towards the professors’ projects in the Spring of 2013 was the Out of Egypt:Exodus Exhibition, where the potentiality for multi-media visualizations to investigate archaeological and historical theories was displayed. Controversially in this case, dealing with those revolving around the theories of the Old Testament Exodus. This was the premiere of Vid Petrovic’s work dealing with high resolution textured models reconstructed by our colleague Matt Howland from aerial imaging of the Jordanian desert, creating a stunning 4K-resolution flyover of the archaeological landscape surrounding a recently excavated tomb in Wadi Fidan. 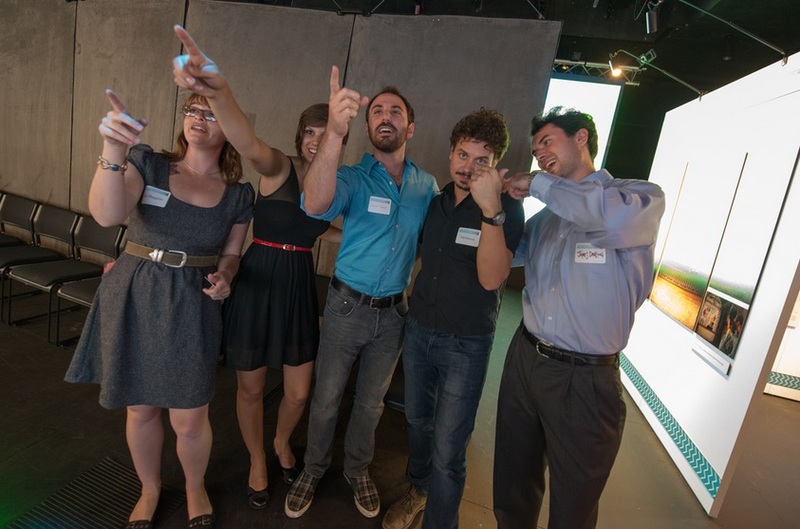 Additional images taken by Alex Matthews of Calit2 are available at the Flickr linked above. Some of my favorites are included below. CURIIs Kat Huggins and Anjali Phukan with CISA3 researchers DV, Vid Petrovic, and former CURII turned Calit2 researcher James M. Darling at the opening of the Exodus Event. 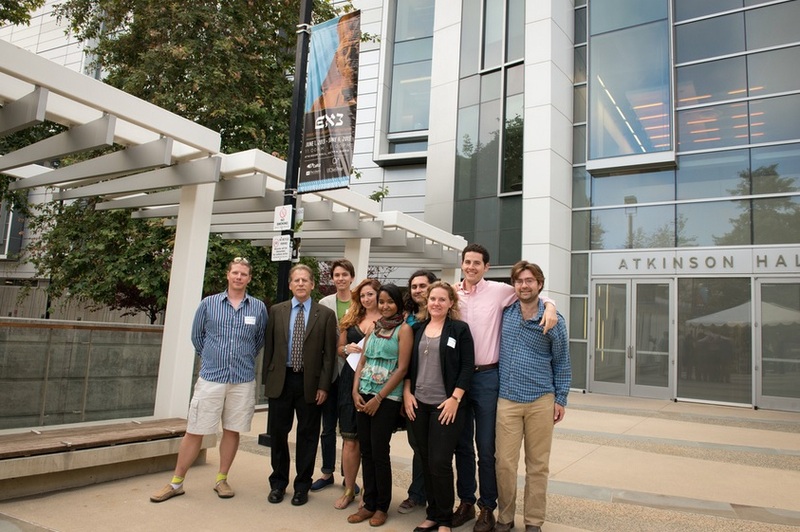 The UCSD Levantine Lab outside of Calit2’s Atkinson Hall at the Exodus Event including MV, Professor Thomas E. Levy, Kyle Knabb, Ashley M. Richter, Sowparnika Balaswaminathan, Ian Jones, Kathleen Bennallack, Aaron Gidding, and fellow archaeologist Mikael Fauvelle. 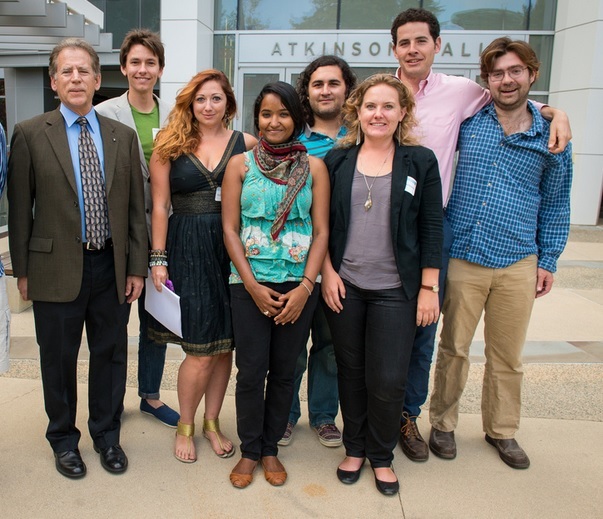 Close up of the UCSD Levantine Lab outside of Calit2’s Atkinson Hall at the Exodus Event including, Professor Thomas E. Levy, Kyle Knabb, Ashley M. Richter, Sowparnika Balaswaminathan, Ian Jones, Kathleen Bennallack, Aaron Gidding, and fellow archaeologist Mikael Fauvelle. 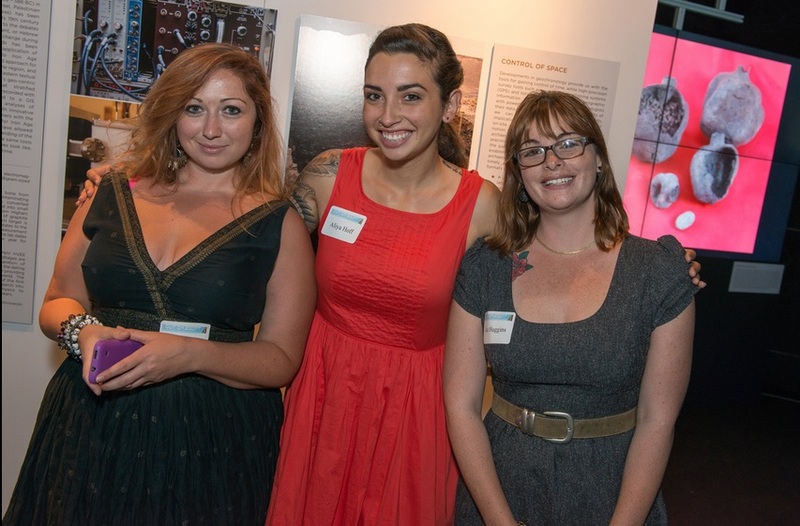 Ashley M. Richter with CURIIs Aliya Hoff and Kat Huggins at the opening of Exodus. 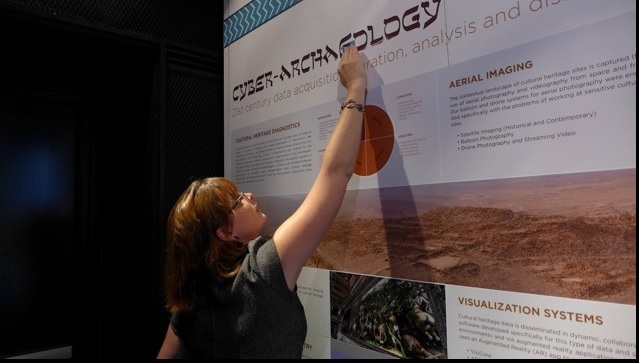 CURII Kat Huggins in front of Ashley M. Richter’s Cyber-Archaeology Panels at the event. Ashley M. Richter & Vid Petrovic’s work from Jordan displayed on one of the Calit2 Optiportables at the event.